Today's automobiles are more technical than ever before. Hybrid drive, Electronic Stability Control and Emission Control Systems demand that automotive repair facilities have their technicians trained regularly to hone their skills. To be a successful business, as well as to insure the safety of their customers, the modern technician can depend on Federated Auto Parts to help them gain the necessary training. Participants in the Federated Car Care program receive discounted ASE pre-testing as well as reimbursement for successful ASE certification. 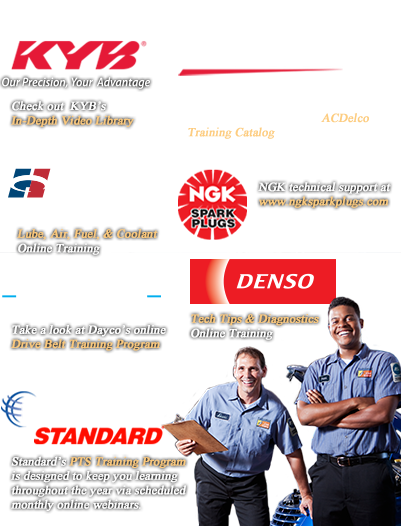 Federated Auto Parts has joined with our supplier partners to offer an extensive training program, which includes self-paced, leader-led and online courses. There are hundreds of classes available on every automotive service topic ranging from basic repair to in-depth troubleshooting. Federated Auto Parts offers an extensive Shop Business Training program that helps independent repair facilities with shop management concepts like time management, preventative service referrals, the importance of bay efficiency and improving your shop's economic engine.